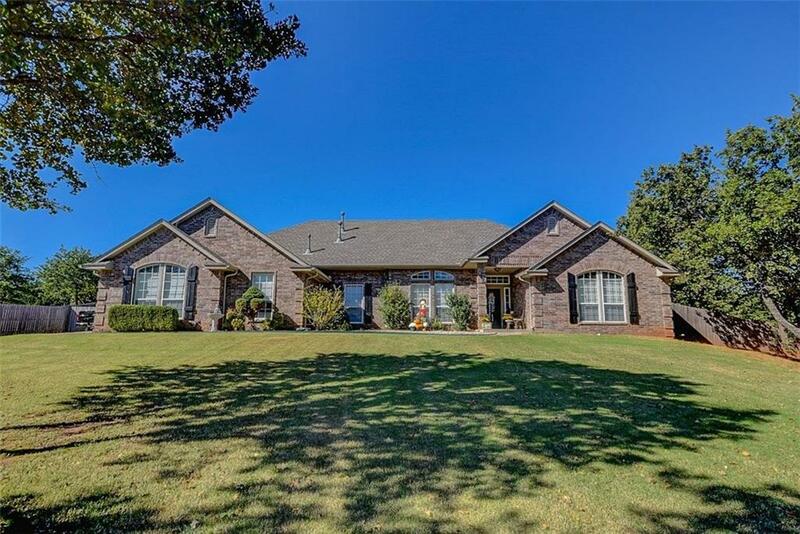 Beautiful home on one acre treed lot. This quality built home is the perfect location. This home has so much to offer: large living room with fireplace, ceiling fan, wonderful kitchen with loads of oak cabinets, built in appliances, pantry and eating area. Master suite is large and roomy, wonderful bath with whirlpool, dbl vanity, shower and an awesome closet. Other three bedrooms are roomy with nice closets and ceiling fans. There is a study that could be used as another bedroom. Huge bonus/media room is up stairs with ceiling fan and full bath. The back yard is fenced with lots of trees. There is extra paved parking for visitors. New carpet, fresh paint inside and out, new CHA,sprinker system in front.